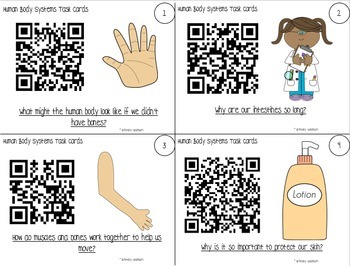 Supplement your Human Body Systems Science unit with these 4 QR code task cards. Each card comes with a guiding question. I have my students answer the question with a labeled picture and description in their science notebooks. For your printing convenience, I've provided the cards in 2 formats: All 4 on one page, and 4 of each one on one page (look at the thumbnail pictures to see what I mean). 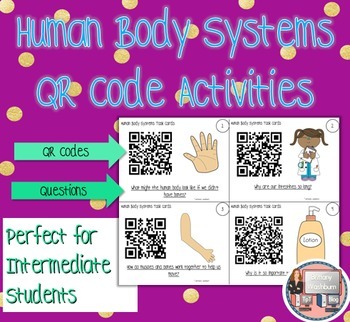 I often need more than one of the same QR code card so that student's aren't fighting over them.